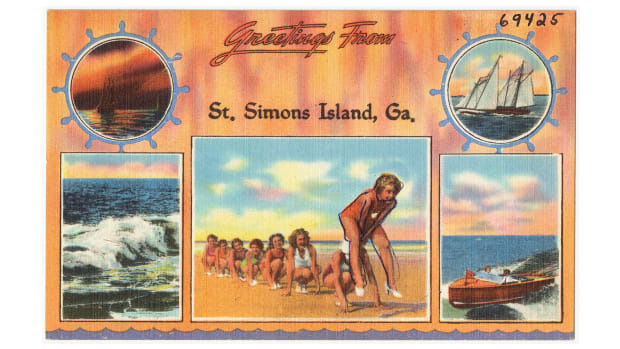 This historic town is bustling with modern life and a rich boating culture. 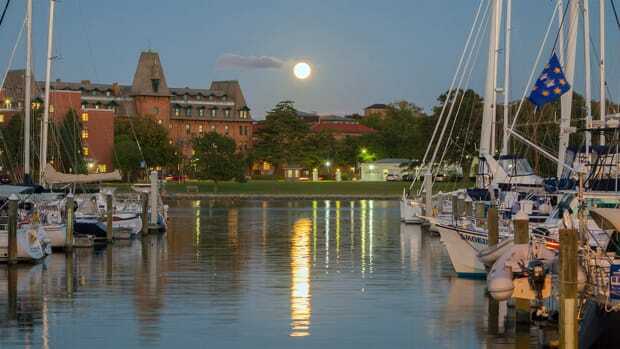 Annapolis, Maryland is something of a household name for boaters, and its familiarity is perhaps its greatest attraction. 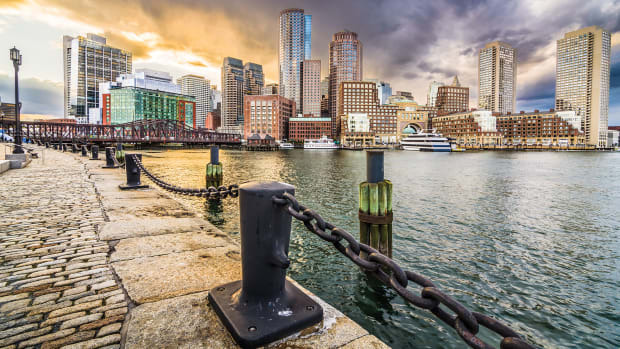 The large boating culture ensures that visitors will be greeted by other serious boaters and a lively atmosphere that celebrates the city’s maritime history. Krissoff has been cruising the Chesapeake since he moved to Annapolis as a kid in 1964. He now runs a charter business, Cap’n Mike’s Full Moon Adventures, on a 46-foot Chesapeake Bay deadrise he built in 1995. Having spent a lifetime on the Bay, he knows its patterns well. “The Bay can be very calm, and it can be very rough,” he says. 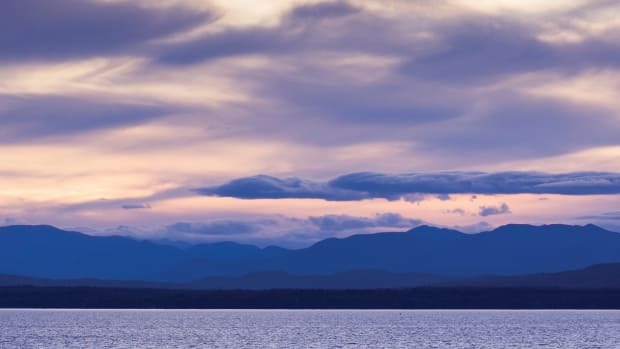 “But if you keep your head in the game, I don’t think it is dangerous at all.” It’s important to check the weather, as the Chesapeake is well known for late afternoon to early evening thunderstorms, but Krissoff assures that it rarely keeps anyone from going out. The Chesapeake is busiest from Memorial Day to Labor Day, but the temperate climate allows adventurous boaters to stay on the water year-round. Cruising the estuary is different from the ocean; there is rarely more than a knot of current and there are hardly any rocks, according to Krissoff. Striped bass are bountiful from October to May, when the Bay is filled with anglers cruising alongside pleasure boaters. 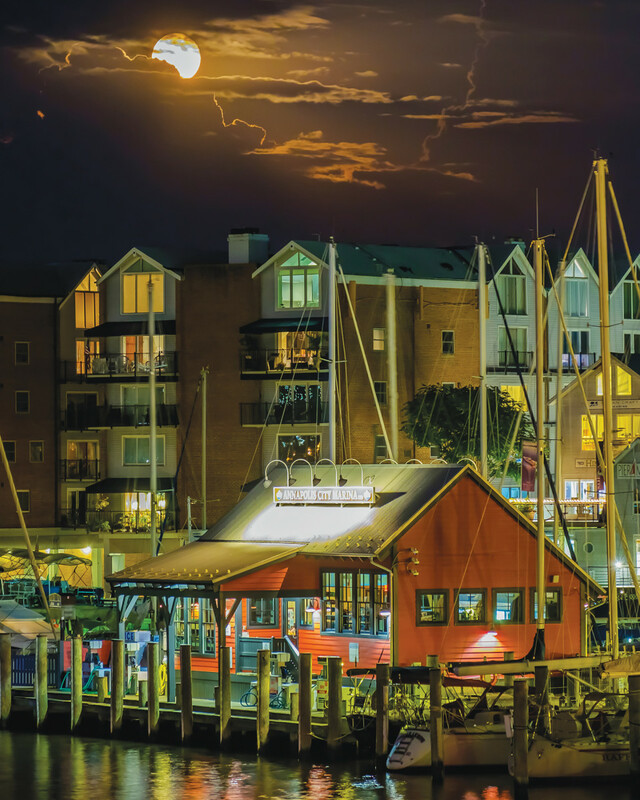 Because of its geographical position, Annapolis is home to a diverse boating culture. 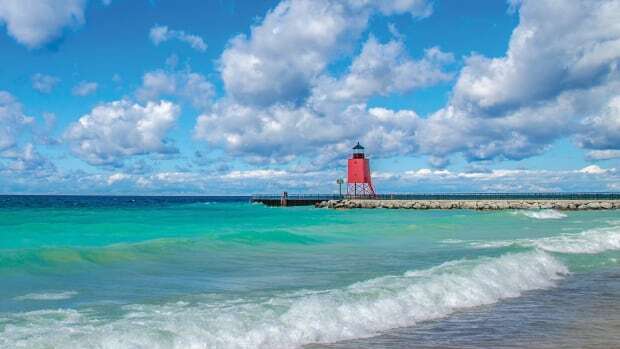 “It’s not unusual to see one-hundred-foot or larger yachts in the same area as you see kids in Optimist dinghies,” Krissoff says. The city is home to the U.S. Naval Academy and two major yacht clubs: the Eastport Yacht Club and the Annapolis Yacht Club. Annapolis hosts three large boat shows each year, which draw crowds of transients. The Annapolis Spring Sailboat Show is one of the largest in-water boat shows of its kind, and it takes place in the heart of downtown. Annapolis City Dock connects the urban landscape with the waterfront. In addition to hosting boat shows, it has 18 slips available for public dockage and 325 feet of bulkhead docking. The city has accommodations for even more transients with 76 moorings, an active water taxi service and countless marinas. City Dock puts visitors downtown on Main Street, where even today, it’s not hard to imagine 18th-century merchant vessels unloading their wares in the brick-lined harbor. History is preserved by centuries-old architecture and masts that fill the horizon—an enduring testament to the city’s colonial roots. 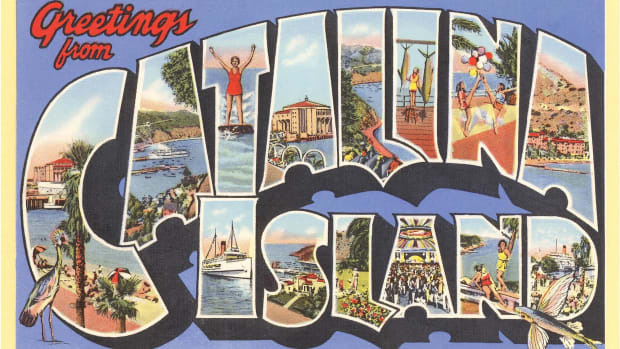 It is now bustling with restaurants, bars and locally-owned shops. Beyond Main Street, the city has a number of waterfront establishments, including crab houses with dockage and dock bars during the summertime. The city’s historic sites draw history buffs and tourists alike. The Maryland State House, an unmistakable icon, is the oldest in continuous use. 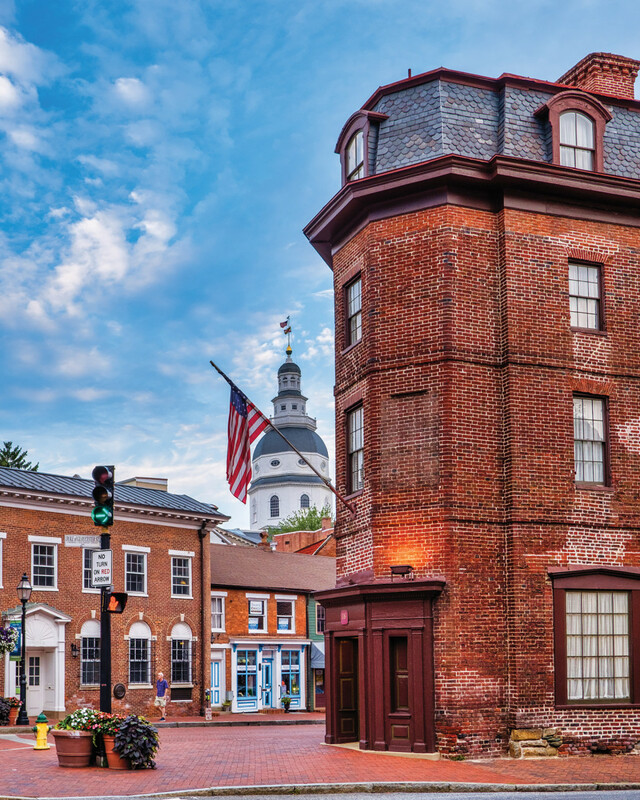 Its historic pillars are complemented by the plethora of 18th-century brick homes, of which Annapolis has more than any other city in the country. There are a number of buildings to tour that were once utilized by the founding fathers. Visitors can also stop by Historic London Town, which combines one of the area’s earliest settlements with an active archaeological search for a “lost” colonial town. The bustling culture in the streets is easy to escape by boat through rivers that empty into the Bay. 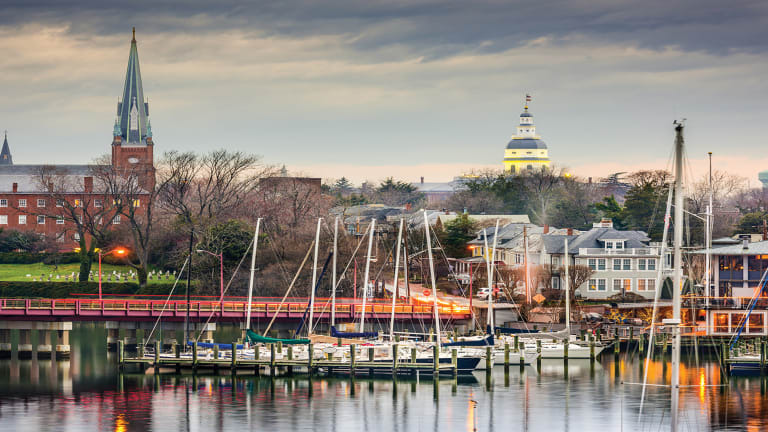 There is a diverse selection of rural and developed towns that can be accessed from the water; Annapolis is a gateway to St. Michaels, Baltimore and Oxford. Our nation’s capital can be reached through the Potomac River. Krissoff says people cruise from one town or city to another. Krissoff’s favorite day trip is simply finding a bit of solace. “I like just heading up one of the more rural rivers, like the Chester or the Wye,” he says. 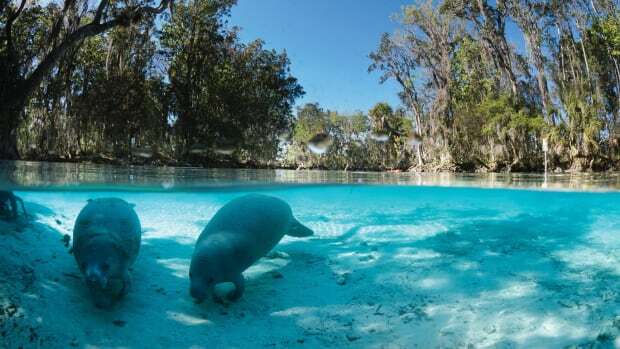 “I find a quiet place to drop a hook and hang out all day.” These quiet rivers and creeks are the perfect setting for paddleboarding and kayaking adventures, and rentals are available for those who don’t have one aboard. 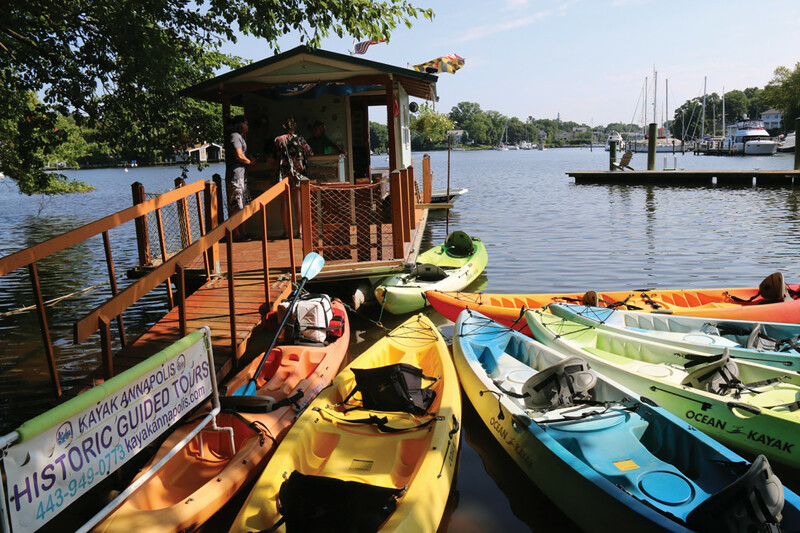 Annapolis is a hot spot for boaters, but heavy traffic isn’t always a bad thing. 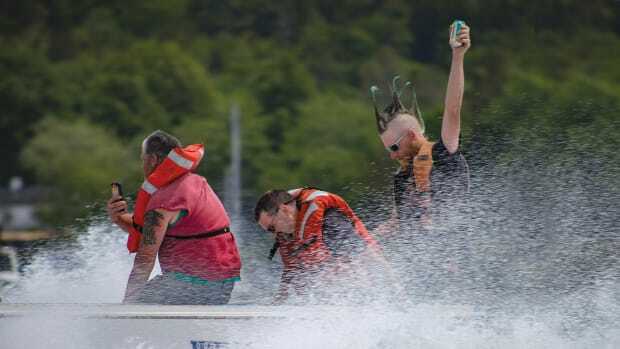 People congregate on the docks, participate in lake parades and enjoy concerts and local bands. There is a lively culture of passionate boaters who all look to take advantage of the temperate season, but there is always an escape on a quiet river nearby. “There is truly something here for everybody, and there’s plenty of it,” Krissoff says. 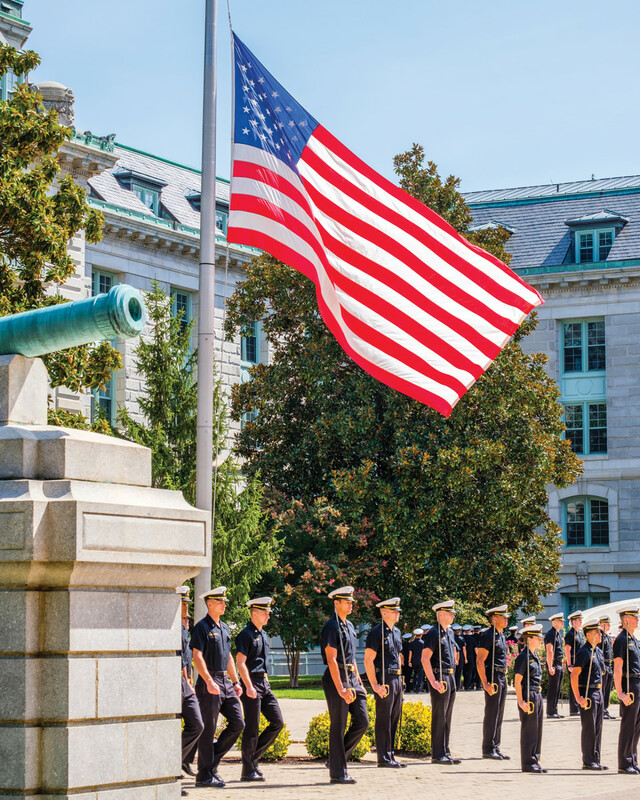 With so many draws, Annapolis is ready to provide whatever experience visitors seek. 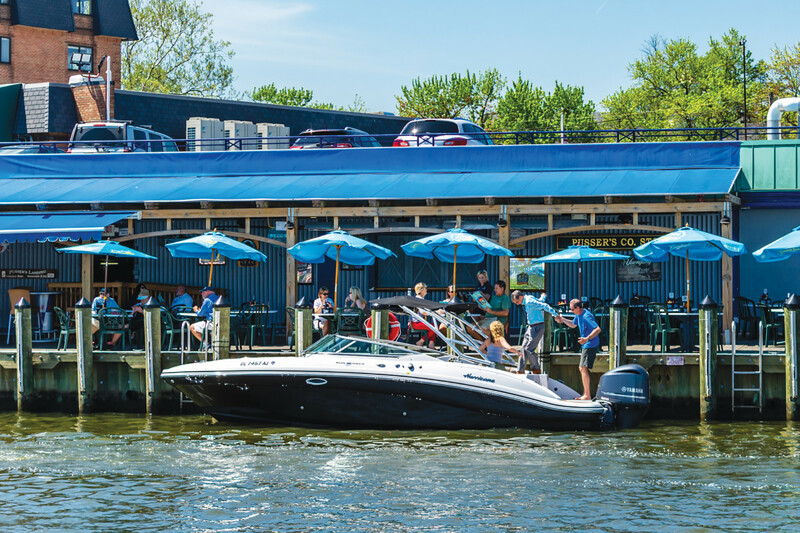 Annapolis has a lively boating culture that is an experience in itself. 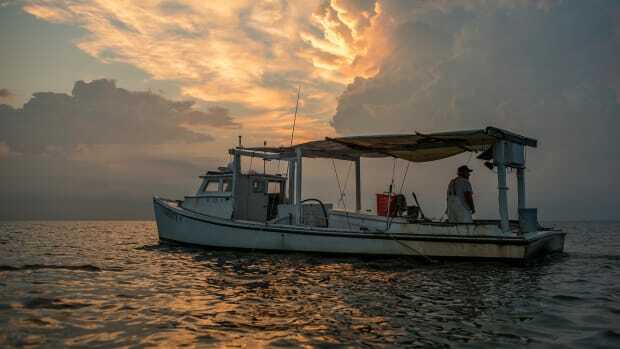 The Chesapeake Bay provides diverse cruising opportunities with its quiet rivers and its network of towns. Explore the city’s historic sites, restaurants and shops, or take to the water for fishing and paddleboarding. 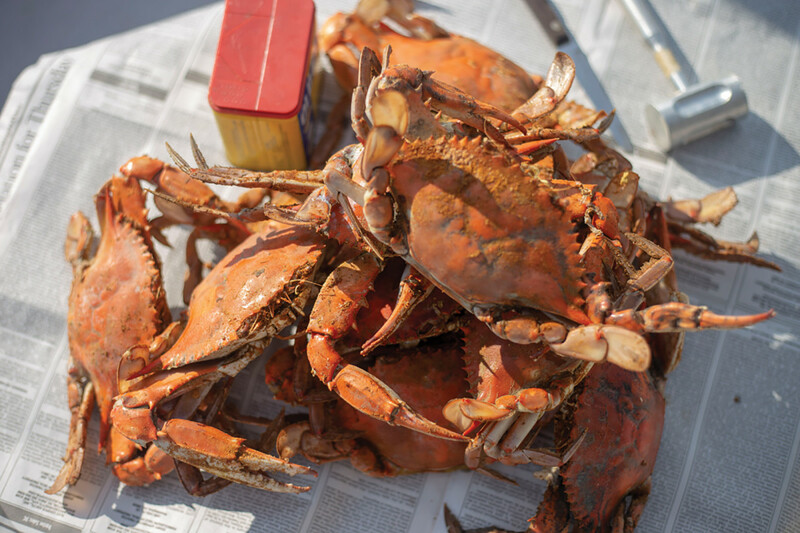 There are plenty of events—including the largest annual Crab Feast in the world—but pulling up to a dock bar is always a good way to make some new friends.